Audioshelf will professionally turn your book into a digital audiobook. We take the hassle out of the entire audiobook production process on your behalf. We combine pools of talent from different industries, bringing together voice artists, actors, producers and audio engineers under one roof to create the finished product. We use trained actors to voice your book, who have had years of experience in drama, acting and theatrical productions. Our expert audio engineers will produce the highest quality audio files, recorded in our state of the art recording studio facilities. So how does this all work? We have a simple 6 step process for audiobook production. Let’s go through the easy steps below. The form will ask you for a few details, such as the length of your book in words, the genre, a brief description and also the kind of voice you are looking for. You can also ask us any additional questions. We’ll get back to you within 48 hours with a quote on your audiobook production. The voice is what is going to leave listeners with a lasting impression of your audiobook. For this reason, it is always highly recommended that you employ the use of a professional voice artist or narrator. When you fill in THE CREATE MY AUIDOBOOK FORM it will ask you what kind of voice you are looking for. Please let us know if you’re after a mature male voice, or a young bubbly female teen. We won’t rest until we’ve found your perfect voice! Each client we work for is different, especially when it comes to overall delivery and that of characters, so we constantly liaise with you and take on board as many notes as you want to give at this stage before production starts. * Please note: Delivery dates may vary depending on the narrator’s availability and work schedule. We will organise recording sessions with your chosen voice artist at our sound studios. Throughout recording, our sound engineer and director will direct the voice artist and be in constant collaboration with you if there are any queries, for example the pronunciation of certain words. 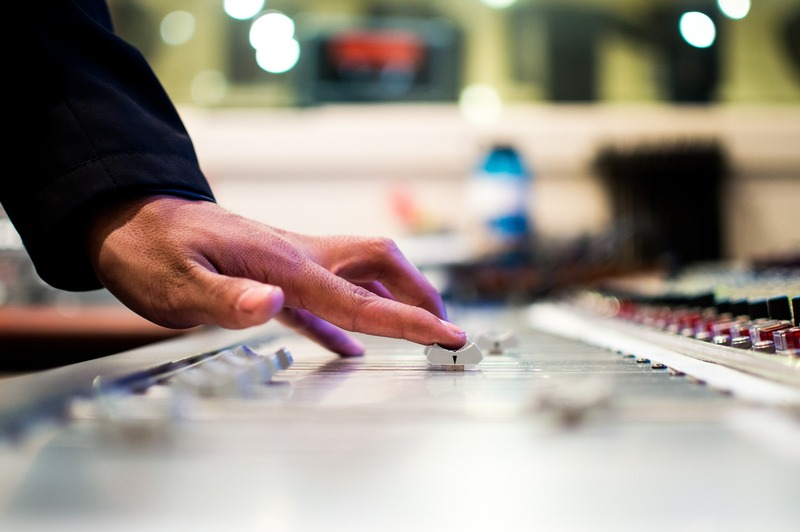 Our audio engineers will then take over the post production process, which involves editing, mixing and processing the audio for your approval. We will send you edited segments of audio during the recording process, usually separated by the chapters of your book. This part of audiobook production is highly important. The engineer will listen through the entire audio book and remove any unwanted sounds, mistakes and *GASP* breaths. After the engineer, has edited the entire audiobook they will start the audio mix. This is the process of adjusting the audio level and tone of the narrator to ensure that they are consistent throughout the audio book. The final stage of post-production is the mastering process. This ensures that the peek audio levels and average audio levels fall within the ‘industry standard’ requirements. Once you are happy with the audio we have sent you, we will master the audio. Picture mastering as the last stage or ‘polishing’ of the audio. We will send you the final high quality Mp3 audio files of your audiobook. After you have your completed audiobook, it’s time to sell it! Please visit our Distribution page to see how we can help you get your audiobook into the major retailers.